On today’s episode, we’re chatting all about neighborhoods! Join hosts Kirsten & Graham as we discuss what each of our neighborhoods are really like, how much we actually interact with our neighbors, and what does it mean to be a good neighbor anyway? Hey Home Hour Listeners! If you are in the market for a little upgrade to your linen closet, then you have to check out Peacock Alley! 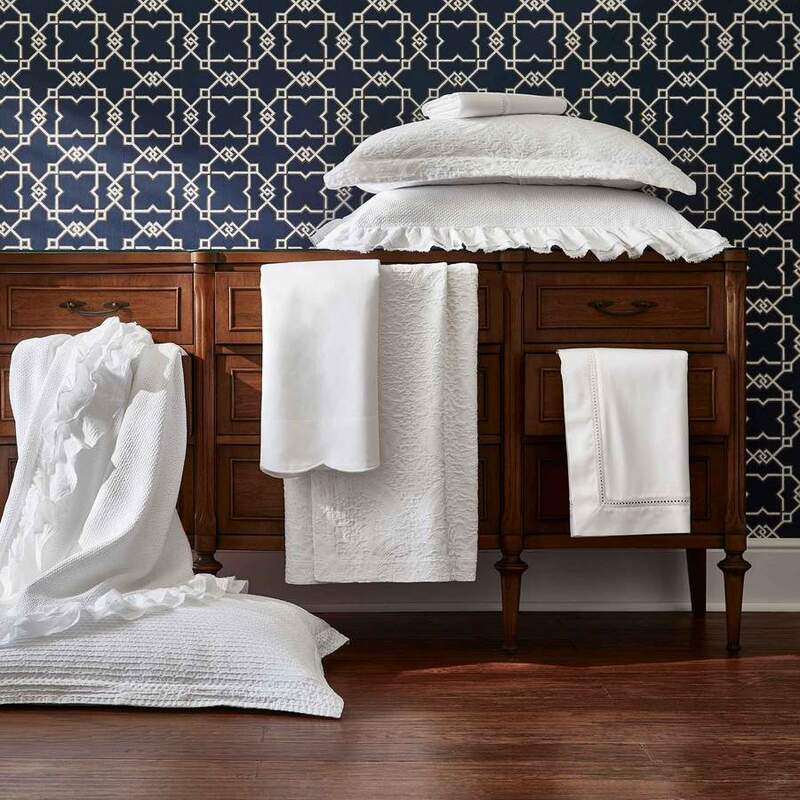 Peacock Alley is our go-to site for gorgeous luxury bedding, bath basics, and fine linens. We love the that you can layer different styles to create your own unique bedroom oasis and that the sheets get softer with every wash! We also love that many of their products can be personalized with beautiful, simple-to-order monogramming! We are so excited about Peacock Alley that we have put together a little collection of some of our personal favorite items AND they are offering our listeners 10% OFF their first purchase when they use the code THEHOMEHOUR at check-out. I’m about 30 minutes into the episode and so far it’s making me feel sad! No neighborhoods that I’ve lived in here in Florida have ever had close neighbors. In our neighborhood people avoid each other, argue in the neighborhood Facebook group, and I’m the only one saying hi. 🙁 Any advice about how to find a friendly neighborhood?